A disconcerting report released last week revealed that New York City could see a 6-foot rise in sea levels by the end of this century. It would make nearly half a million New Yorkers vulnerable to flooding, and waterfront properties would be virtually uninhabitable. But what if climate change continues unabated for even longer? 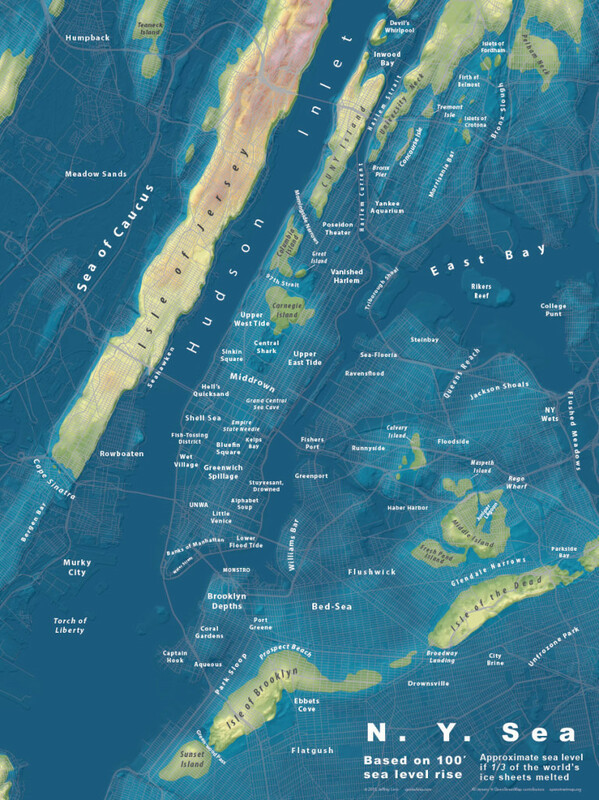 What will New York City look like if, say, both the Antarctic and Greenland ice sheets melt completely, raising sea levels an estimated 260 feet? Linn, who posted the GIF on his blog Spatialities, told The Huffington Post he wanted to show people what the city would look like after “the terminal point for ice caps melting,” which some scientists estimate could happen in 1,000 to 10,000 years. “What would the world around me look like, where I live, if in thousands of years, this is supposed to happen?” Linn said he wondered. He’s made similarly alarming maps for his hometown of Seattle, as well as London and Montreal, among other cities.